Want to know more about what makes you tick? 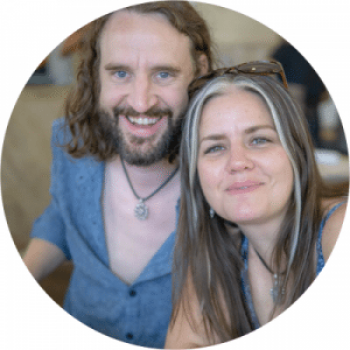 Let's dive deep into what makes you "YOU"
In this episode, Joel talks with Antonia about the personal energy work he's been doing with an energy coach. In this episode, Joel and Antonia talk about why now more than ever we need introverted thinking in our world. Podcast – Episode 0269 – Does Ego Work Screw You Over? In this episode, Joel and Antonia talk about some of the downsides and challenges with ego work. In this episode, Joel and Antonia talk with Christian Rivera about his journey through mental health issues as an INTP Personality Type. In this episode, Joel and Antonia talk with Dr. Beatrice Chestnut about how the Enneagram has helped her grow personally. In this episode, Joel and Antonia talk about the idealism we develop around our perceiving cognitive functions. In this episode, Joel and Antonia talk about the idealism we develop around our judging functions. In this episode, Joel and Antonia talk with Millennial PH team member Nii Codjoe about the pressure our culture puts on young people to change the world and be the hero. In this episode, Joel and Antonia talk with PH team member Nii Codjoe about careers and not living a life of leftovers. In this episode, Joel and Antonia talk about finding the most accurate personality test and why it might be the wrong goal in the first place. Your courses have changed my life immeasurably, and in so many ways! In everything - from what I do with my time, the wonderful people I now get to meet and feel comfortable with, even my ability relate with my husband (especially that one), the quality of my experience is forever better because I found you. This is all encouraging me to continue along this path. But it really was your work introducing me to the Jungian typology that set me on the path....Through my interactions, I have forwarded a few people to your programs and I know they have found support in them just as I have. As a faithful listener of the Personality Podcast and an INFJ, I want to extend my gratitude to you for your recent INFJ podcast. It hit home on so many levels and reminded me of how much I bring to the world, even with all the unique challenges I have faced. I plan to share it with my mom, another INFJ, soon (how lucky am I, as an INFJ, to have been raised by somebody who truly understands?!!). I also want to say how much I enjoy the podcasts and the website, and I hope you keep it going for a long time to come, because I will be listening and reading! Just a word to say that I LOVE LOVE LOVE your podcasts! I’m enjoying a bit of a sneak peek at each type, and also some of the other wide ranging relationship and type issues you raise. The Imago relationships podcast was especially awesome. P.S. Currently re-listening to the intuitive awakening… just loving it! Antonia, since doing my profile with you, I have the validation to be me. Since my childhood I have felt like a square peg in a round hole. I have thoroughly researched my 'profile' through other avenues yet have not been provided with the detail that links it all together - you provided that for me. Love your work. First and foremost, Thank you Thank you Thank you. The impact Personality Hacker has made on my life has been undoubtedly life changing. As a 29 year old, you have helped me discover I am an INFJ ( or as you call it "perspectives/harmony"). I have spent my life feeling like I was made for another lifetime. Now I know why. I cannot thank you enough! I have been going down the wrong path and am grateful for the redirection! INFJ resonates deeply. I purchased the genius profile and am enjoying the connections. (The ISFJ confused me when I looked at how much I love analyzing, it didn't fit, INFJ does). I listened to the INFJ specific podcasts and the YouTube video on communications between sensing and intuition. I still need to listen to episode 0030. You just gained an advocate for life. Just last night I referred a dear INFP friend to you. Thank you again!!! I ran into Antonia for the first time while listening to a podcast. Hearing her talk, the ease and depth with which she discussed type struck me. At that time I was looking for a true professional that would be able to help me gain more insight into myself and I knew I had to connect with her. As we did our extended session, I had the pleasure of experiencing a very empathic, straightforward, clear and insightful woman. Antonia helped me find answers and see things about myself that were priceless. I recommend her to anyone looking for valuable answers! I loved reading my personality profile! I had always wondered why I had such an ability, and love of, finding new information and integrating it into my worldview. At first I thought, “Well no wonder I act the way that I do,” but I still wasn’t necessarily happy with it. Once I started acting on developing exploration, new worlds of possibility and opportunity opened up. It was like magic.Thanks very much for putting this together! Learning to forge pathways between outward and inward connection is possible for INFJs. It’s an emotional muscle we build through practice, and it has the potential to change our relationships and our lives. In this video Joel (ENFP) describes how Introverted Sensing (Si) shows up for him as an inferior cognitive function. This is the 3-Year-Old (inferior) process for all ENFPs and ENTPs in the Myer-Briggs system. I've found that being an ENTP is a reflection of who we are on the inside, our fixed values and interests, the things we need at our heart if we scale back everything unnecessary. Personality Hacker is an organization designed to help people leverage their own mental processes to optimize whatever can be optimized: productivity, communication, job satisfaction, and most importantly – happiness. When we get these needs met we stop being so myopic and start seeing a bigger picture.